I didn't plant any of the plants or trees in my yard. I didn't plan the placement of the lilies, the hostas or the peonies. I didn't lay out the border, spread the mulch or fertilize the rose bushes. BUT, I will benefit from and appreciate all the hard work done by someone else. I have been in awe of the vibrant pink blooms on the fruit tree in the backyard. I have already used the white blooms on the trees along the driveway for the backdrop for our Easter photo shoot. And, I can't wait to fill a vase with the bulging blooms from the hydrangea bush out front. Spring has awakened fresh life into all aspects of my yard, and in a way, the former gardener has given me the beauty of the bright colors and bold sights along with their fresh fragrances. The previous owner, like me, appreciated the beauty to be found in the trees, gardens and flower beds. She tended them as long as she was physically able and, now, I have been gifted with the fruit of her labor. I didn't do anything to deserve them. I didn't even know many of these little blessings existed until the weather warmed and awakened the trees and plants. To my delight, they burst life into our yard. As my pastor explained, God GAVE eternal life. We did nothing to earn it. We didn't do anything to deserve it. Actually, if anything at all, we disqualified ourselves to receive it through our sin. BUT He GAVE His Son that we might not perish but have eternal life. Yes, we paid a price for our house, but all the hours and plants the previous owner invested into the yard was not included in the price. She worked and worked. Then she left it to us. She gave it, where we didn't expect it or even knew to appreciate it until now. I didn't earn the eternal life He gave me. I couldn't. Yet, I reap the rewards of His work, of His sacrifice. This time of year is an excellent time to stop our toil, remember, and appreciate the work He has already done. As the grass grows again and the earth yields to sprouting shoots, we see how He creates and generates life. Easter comes and we remember the high price of redemption. Stop, take a look at the life awakening around you and praise the Creator and Giver of it all. He is the One who redeemed His creation by giving us life twice, breath in our lungs and eternity in our hearts. I am left in awe as I did nothing to deserve or earn either one. This afternoon, I am sitting in my kitchen. From my vantage point I can see the vibrant yellow of the Forsythia, the bright purple of the Red Buds and the light green of the newly forming leaves on trees I can't name. Two of my daughters are soaking up the fresh air and the vitamin D as they play with a neighbor friend. Being in a new-to-us house, it is neat to see and wonder what perennial might pop up next in the gardens. A few I recognize - the hostas and hydrangea among the lilies.... There are others though, that I do not so readily identify. I could try to describe them to you, but I am sure that I could not do them justice. I love being out there, digging up the weeds and brushing aside the last remnants of fall's leaves to reveal the tender shoot of something "new" sprouting in the dark, cool soil. It's too early for any humidity and the bugs still seem to be hibernating. The warmth of the sun on my face is like a balm to my soul after the cold, gray winter months stuck indoors. It is everywhere in Spring. From the Buttercups to the Dogwoods and the Bradford Pear Trees to the smell of the first, freshly-mowed lawn of the season, seemingly overnight the Tennessee country side comes to life. All of nature heralds the season. Spring is here. Spring is alive. "And this is the testimony, that God gave us eternal life, and this life is in his Son." He accurately explained that this "eternal life" wasn't something that we would begin at death. No, our eternal life begins at our conversion. As John 10:10 says, that He came to give us an abundant life. Like a Spring rain, this washed over my weary soul. I have been going through so many motions, and longing for His return, that I somehow forgot that my eternal life was an already reality, not something for me to wait for. Yes, I need to do some weeding in my heart of some favorite, pet sins, and brush aside the accumulating debris of distractions blocking out the tender shoots God is cultivating inside of me. Just as the gardens outdoors need attention, so do I. Spring is Life. It is outside my windows and inside my soul. Praise Him for the magnificence of His creation and how it points us to Him. Praise Him for this eternal life within the believer, within me. Last Sunday was Palm Sunday…I spent quite a bit of time pondering what happened that day so many years ago as Jesus went up to Jerusalem. As He instructed two of His disciples to bring Him a colt that had never been ridden...never been ridden!! (If you know anything about untamed colts....they are NOT easily ridden!! Amazing that the colt submitted to the King of Kings!! Even the animals know who He is!) As people worshipped Him because of all they had seen Him do. That day was spectacular. Prophesied. Joyfully painful. Today is Saturday….I am spending quite a bit of time pondering what happened this day so many years ago after Jesus died for me and before He presented Himself alive. Where was He? What was He doing? 1 Peter 3:18-22 speaks to it a little bit, but quite honestly, it leaves me wondering. Questioning. More pondering. Truth is…I don’t know everything He was doing. More importantly…I don’t need to know. What I DO know is enough. He has a plan…He will provide. Always. After all…there was a colt. Ready. Available. Waiting for Him. That is what I want to be. Ready. Available. Waiting for Him…to speak. To move. To teach. All of it. Thank Goodness it’s Monday!! It does seem rather strange that I would say, “thank goodness it is Monday” since typically the phrase is “thank goodness it’s Friday”!!! Or is it "thank God it’s Friday? Anyway….don’t get me wrong…I love the weekend! I love Sunday (most of the time) when we can worship the King of Kings and Lord of Lords! So, you might ask, why am I thankful it’s Monday? Weekends can be hard for those in ministry….and uniquely challenging for those married to ministers. Here’s the breakdown for my typical weekend for the past 40+ years. Friday: Many years ago Evelyn Christensen (Biblical speaker and author of several books including “What Happens When Women Pray”) told a worship center full of women, where I sat on the front row soaking in every word, that on every Friday the church of satan is praying that the pastors will fail. That they would fail in their marriages, that they would fail their families, that they would fail in their ministries. All of it. I vividly remember breaking down in tears. Was the Body of Christ praying every Friday for the pastors? Were they standing in the gap every Friday battling the enemy for our husbands? 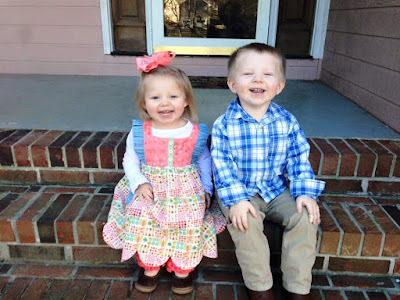 As I pondered what she was saying and all it meant I realized that Friday’s were particularly challenging for my husband….and determined to pray fervently for him on Fridays. Fridays can be hard. However, Friday is typically date night and, for that reason, Friday is special after a week full of not seeing my husband because of meetings and who knows what all! Saturday: every Saturday night for as long as I can remember my husband would leave home around 7-8 p.m. He would spend time at the church finishing up for Sunday morning and praying in the quiet of the sanctuary for God to move mightily the next day and for the people and whatever else God put on his heart. He arrives home long after I am asleep. However, I rarely do sleep well on Saturday nights. I am praying all through the night for God to move, for the Holy Spirit's anointing over my husband, for those leading worship, etc. Sunday: Ahhhh, Sunday and the joys of getting “X” number of children up (why is it on Saturday mornings they are up at the crack of dawn--or before--but on Sunday they have to be pulled out of the bed?? 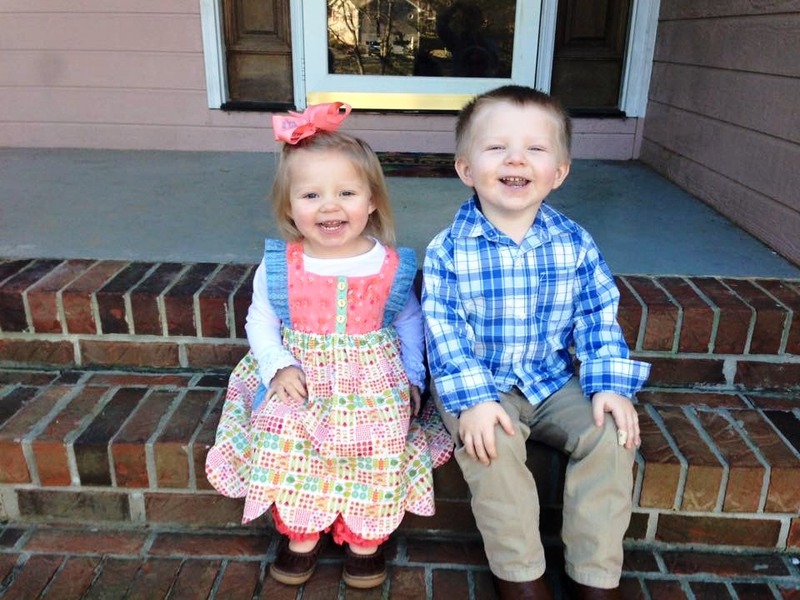 ), fed, dressed and out of the door for church. With shoes on. By myself. Alone. Two times. Exhilarating. Exhausting. Relentless. Worth it! Sunday also brings lots of people in to the mix. Familiar people I love. Familiar people who are, at times, a thorn in my flesh. New people to greet and get to know. People to teach. People to hug and smile to and encourage. People to pray with. People. Lots of people. I love people. And, I am a people person. An ‘extrovert’. But I am also an ‘introvert’ and need my space. Makes me feel like I am rather weird until I heard that there are other people like me out there!! Introverted extroverts we are called! By the time Sunday night has come I sometimes cringe when a group wants to go out to eat or hang out. I am people done. People done I say! So….when Monday comes….like today. I say “thank goodness it’s Monday” and praise God…Sunday’s coming!! What about you? Do you thank God it’s Monday too?? I met a fellow sister in ministry about a month ago. She and her husband are the proud parents of twin school-age boys who apparently keep her quite busy. She told me of some of the escapades of this double duo and I found myself laughing my head off. As the conversation continued, I asked her what the best gift someone ever gave her for parenting her twins. She proudly and unashamedly said, “A bullhorn.” She explained that now instead of yelling to get her boys attentions all she does is speak in a normal voice THROUGH her bullhorn. What an awesome idea! If I had had one of those handy devices when my sons were school age, I probably would not have the vocal trouble that I do now. I can vividly remember standing in the darkened hallway at church calling out for the boys to come so we could head home. Sometimes I may have yelled VERY loudly to get their attention. Then I thought to myself, “I want a bullhorn to get the attention of every member of my church who is in rebellion.” Oops, that would include me too! I wonder if the Heavenly Father ever thought about using a bullhorn to get his wandering, pathetic children’s attention. Think about it. I am sure a bullhorn would have been handy when Jonah ran away from God. Oh and what about Moses who “whined” that he couldn’t do the job God was calling him to do. Also, I wonder if Jesus would have liked to use a bullhorn to awaken his disciples who had fallen asleep instead of praying when Jesus has pleading with the Father about his approaching death. Perhaps, we are so stubborn that God needs a bullhorn to get our attention. Thankfully, our Father Heavenly does not need to yell nor does he need the help of a bullhorn. He lovingly calls for his distracted, unfocused, rebellious children to return to their first love. Why is it so hard for us to simply obey our Father? Just like a three year old who cries “I want to do it my way” we too desire to have our own way about things-our careers, our ministries, our dreams. We may run the opposite direction from God’s plan for our lives but eventually we will fall on our face. When we come crawling back to the Lord, He will not be standing there with his hands on his hips and bullhorn in his hands. Instead the Father will have his arms open wide for his obedient child. When Negative People Call, What Do You Do? I do not like conflict and I try to get along with everyone. I realize people are created differently with different opinions and desires from mine. However, I do have a problem with individuals who believe they are the “voice” of the church body. Just this week one of our staff members was questioned about a certain aspect of the worship service. Basically, the person berated our staff member in front of a group of people. Over the last several months, I have heard from several minister wife friends who are suffering in silence because of the attacks on their church and/or the church staff from individuals within their congregations. When people question/attack the ministers or ministry of the church, ministers’ wives all too often must bite their tongues, keep their mouths shut, and paste a plastic smile on their faces. It’s not fair! Maybe I should not even touch on this topic or vent my frustration here but I believe each of you have experienced this same negativity within your churches as well. So why not address it and find out how you handle these frustrating situations. Besides, I am on a “cut back on junk food including chocolate” diet. When negative people call, I just go ahead and bite my tongue. This poor organ of my body has so many scars. On the other hand, my mind is racing. “Did God call you out as His servant in ministry?” “Didn’t you vote to change (you insert your issue) at the business meeting?” “Oh, you don’t like the direction the church is going. Well, where were you when we had several open church hall meetings to discuss the direction?” Girlfriends, I really try to tame my tongue and even put my brain in corral but sometimes . . . well, I fail. One thing ministry life has taught me is that negative people are all around us. They are there to question and attack. They never seem to say anything positive and always doubt the church staff they called. What is sad is that it is not the people who we are at battle with but Satan and his demons. My comfort comes in knowing that my Savior experienced the same attacks and doubters. They tried to trick him. They tried to dishonor him. They even tried to kill him and end his ministry. However, my Savoir won. He willingly went to the cross and died for my sins and for the sins of all the negative people in our world. However, Jesus arose and will never be defeated. He stands with his arms open wide for all of us, even the negative people. So what do we do when negative people call? We love them like Jesus does. Thank you to everyone that prayed for my husband. We went to the doctor today to get the results of his biopsies. NO CANCER!!! There was a little inflammation, but NO CANCER. He goes back in a year for a yearly check up. His numbers have been higher than they prefer, but his doctor told him today that they would now ignore the numbers until they get really, really high. PRAISE THE LORD!!! Thanks again for all of your prayers. GOD IS GOOD.....all the time!!! Recently the ministers’ wives fellowship for our association met for dinner and fun fellowship. I love it when I can get together with these ladies because we never know what will be discussed. This time of sweet fellowship went from a nice chatty evening to all out stomach laughter complete with tears. 1. Mr. French-apparently on sister actually met her man a few years before their first date. He was in a college choir that visited her church. She always remembers that he reminded her of Mr. French from the old TV show “A Family Affair.” When she finally began dating him, she could not keep from thinking about Mr. French. 2. Two Timer Club-Several of our ladies apparently decided to “test drive” their first date. Just in case the “new” beau didn’t work out, they kept the “old” boyfriend handy. Thankfully, the couples hit it off and are now happily married. 3. Small town girl meets a new world of men at college-I can’t do justice to this story but I will try. Two ministers’ wives came from very small towns where the ratio of girls to boys was small. When they entered college a whole new world opened up for them. So many men! So many choices! Yes, they finally found their perfect match. 4. Coach’s daughter-This poor sister said no one wanted to date her because her dad was the coach. It took a long time before one brave soul meekly asked her out. She snatched him up and married him. 5. Run a month before a date-This sister ran for a month chasing her man. She finally caught him and the rest is history. (By the way, they are both marathon runners). 6. Choice of twins-When you have a twin sister, the fellow must decide who he likes best. Thankfully, he selected my sister in ministry. 7. Lottie Moon meets Mr. West Texas-Now when a girl feels called to be a missionary and her hero is Lottie Moon, she should not be faced with choices. However, this sister went to college at Baylor and met a West Texas cowboy. She still felt called to missions until their college group when to Asia. She could not get back to the states and to Mr. West Texas fast enough. They are now happily married and minister to children all over our state. See ladies, getting together for fellowships is a fun way of getting to know each other better. I will tell you (and I am ashamed) that I was in the Two Timer Club. Why? I couldn’t believe that I would get lucky enough to go out with my now husband. I mean he was a jock who earned awards and a college scholarship, popular, going into the ministry. I was a shy girl who got tongue tied. However, I am blessed that my man picked me on our first date and we have been happily married for almost 38 years. As I was reflecting this morning, I thought about the overall spiritual environment that exists in many of our churches. I imagine some churches are thriving, everything seems to be going well: Christ is being taught, souls are being saved, baptisms are up, members are serving in their Spirit-given areas of giftedness; Godly leadership prevails, and the unity of the Spirit permeates every area of the congregation. Sounds like a perfect church; I believe that there may be some churches that operate like this to a certain extent, but let’s face it, there is NO perfect church, because there are NO perfect people. Our churches may be in different seasons of spiritual health. Some have the hallmarks of a very healthy church. Some are on life-support. Maybe, there are those that are somewhere in between, not thriving as well as they could be, yet not in need of a major overhaul. I thought about us as pastors’ and ministers’ wives. What type of demeanor do we contribute to the overall spiritual environment in our churches? When we see things that bother or trouble us, what do we do? Do we become prayer warriors and encouragers or grumblers and complainers? We all long for a church where most things are operating at a high level of excellence, no major complaints because things are going great. In reality, in many of our churches attendance is down, people are leaving, much grumbling and complaining exits, members lose focus on serving God’s kingdom, and leadership is criticized (and unfortunately that includes our husbands since they are a very vital part of leadership). We can take it all personally, become discouraged in heart OR we can turn our focus on Christ who can bring hope and healing to any situation. I think we as wives can make a difference! • We can pray. And pray some more and keep on praying! That’s what the Bible says (1 Thessalonians 5:17). The power of prayer is so awesome. Even if the Lord does not bring about immediate change to a negative situation or purge the church of “wolves in sheep’s clothing”, He can change our attitudes toward situations and people and give us His peace in the process. • We can speak kind words. When others complain or want to pull us into a negative conversation, may we be focused on speaking wholesome words that build up or edify, according to Ephesians 4:29. Our words really matter. Pleasant words can go a long way in encouraging saints, yet slander and gossip can cause strife among our brothers and sisters in Christ. Let’s do our part in using our tongues wisely, and not maliciously. • We can delight in worship and fellowship. In Hebrews 10:24-25, the Lord tells us not to stop coming to church because we need one another, and when we meet together as a corporate body of believers, we get the privilege of worshiping our Savior together and we become encouraged by each other’s faith. Let us not become weary as we labor for Christ. No, our churches are not perfect, and neither are we. But one day we will be in the presence of our Heavenly Father and Jesus Our Savior, and we will be perfect, no spots, no blemishes, no stains, NO SIN! So along this journey, let’s be encouragers and be a blessing to those in our church family. I blogged last time about my "wake-up" call and because of fear, not only did I start making healthier choices, counting calories and walking, but so did my husband. This has been a journey................but it has been much easier traveling it with the one I love. I thank God every day that we are traveling this road together. Dieting is just like life..............it is sooooo much easier when you share it with the one you love. We have been making healthier choices since the end of August and been adding walking to our lifestyle. We live a VERY busy lifestyle, so many of our meals are eaten on the road. I have a dining out app on my phone and before we go to a restaurant, I check out the calories and PLAN what we will eat. It's all about PLANNING. I told someone this week that a year ago I would have NEVER dreamed that one of my husband's favorites meals would be broiled fresh salmon and steamed asparagus! He tried it and he loves it. We have lost over 80 lbs.!!! That just blows my mind......of course it also tells YOU just HOW unhealthy we really were! 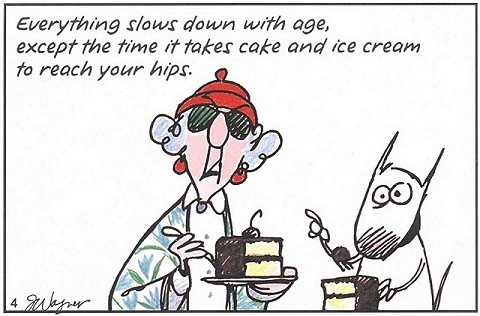 The older you get, the harder it is to loose weight! That is also one of the excuses I always used. Roger will be 60 the end of this month. I will be 60 in October. I say this to say...........ALL THINGS ARE POSSIBLE. We are living proof!! We have reached this stage in our journey by God's help, dedication, hard work, determination, and by helping each other. The rewards have been: feeling better, getting off medication.....and new clothes. Smile. I decided to share this with you because several people have sent me private messages asking about our journey. If WE can do it..........so can YOU!!! Thank you very much for the prayers. Roger had to have biopsies two years ago and they did them in the doctor's office. He said the pain was many, many times worse than kidney stones............................so he had really been dreading this. He has a new doctor. His biopsies were done at the hospital this time and they put him to sleep. NO PAIN during the procedure. He is a bit miserable tonight and sore.............but NOTHING compared to the last time. We go back to the doctor in a week to get the results. Continue to pray for good results. The "Boys" are practicing before the Surrender Night of Worship. In this picture, Luke (our sound/light technician) used purple lights. Our new LED lights will show white and all colors. We enjoyed them Saturday night and also Sunday. They are much brighter than the old, plain lights. BUT.....man, did our church have to fight a lot of battles to arrive where we are today!!! 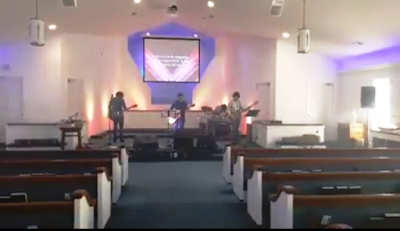 Everyone in the church was excited about our "new lights" and if you ran a secret poll.....I am pretty sure that most of the members are loving our worship service which is a good mixture of contemporary and traditional. The "boys" have taught us old folks some new and powerful music.................and they are quickly learning traditional music that they had never heard. One of the guys has even taught himself the piano. I remember last Easter, Roger asked them if they cared to play He Arose for Easter Sunday. They said sure! What we found out later is neither of them had ever even heard the song, but they were willing to U-Tube it and learn it. And they did a wonderful job on Easter Sunday singing it. That's what growing is all about..............give and take............and working together. After sixteen months....our older peoples have pretty much accepted the new worship service and most of them are really enjoying it. Our younger crowd is definitely enjoying it and it is bringing in more and more younger folks. Right now, our church is made up of about 85% of people that are under the age of 40, Praise the Lord...............the church of tomorrow. Tomorrow, March 3rd, my husband, Roger will be have biopsies on his prostrate. Two years ago his numbers kept going up. The doctor told us it was cancer and did 15 biopsies to see which route to take. All fifteen came back negative. This year....after much prayer and with the blessings of our family doctor, Roger decided to change specialists. (His previous doctor is our age so getting ready for retirement.) The new doctor wanted to do an MRI since no one had ever done a MRI on his prostrate before. The MRI came back with several abnormal spots that the new doctor did not like the looks of.....................so he has scheduled more biopsies tomorrow. We would both really appreciate your prayers. God is still in control! Today is Tennessee's election day....March 1st. I don't think in my 59 years I have ever been so not excited about the polls. Some days I just wish the polls had a "None of the Above" box. Like Tara just blogged, I too am so tired of the bickering, back stabbing, etc. And like Tara also said.............it is very discouraging when the ones in the same party are bickering so. BUT....I got to thinking. Isn't that they way Christians many times behaves? Isn't that the way churches many times behave? Isn't that the way families many times behaves? Isn't that they way church members many times behaves? We are ALL suppose to be on the same ball team, but many times Satan allows little things like....the color of the carpet.....or the placement of the lights.............or parking spaces...........or the music, etc. to cause dissention within the church. As discouraging and disheartening as it is to us watching the politicians bicker.....imagine how the world or non-Christians views it when we are not all in one accord within our churches. It is okay to disagree. We are all different. The world would be a boring place if we all were like robots and thought, acted and looked the same. BUT....it is not okay to turn it into a world war!!! Let's be careful to not allow Satan to use US as a vessel to discourage others. NOW....although the choices are not PERFECT.............exercise your RIGHTS and go out a VOTE!!! EVERY VOTE DOES COUNT!!!! SALVATION for our nation is NOT in an ELEPHANT and NOT in a DONKEY...........but in the LAMB......the Lamb of God!!! God is STILL on the Throne and in Control!! !